Jean is wearing her Jools Beret, Thers is a KAL for it starting April 1, 2013. Register here. Once a week I post interviews with interesting designers about their insights on their experience of working in the Knitting industry. I’ve noticed that every designer makes their living in a slightly different manner bringing their own unique presence to the Knitting world. 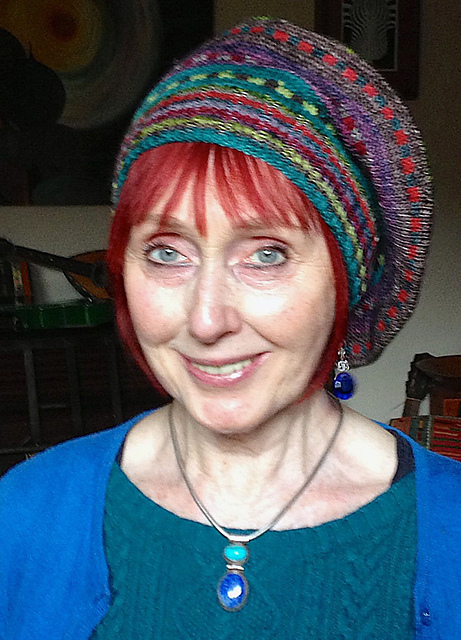 Jean has a new book coming soon, Great Little Gifts to Knit, to be published by Taunton Press in September. You can find Jean here and her blog is here. I love street fashion. On holiday I like nothing better than to sit in the sun with a cup of coffee, people-watching - what they’re wearing is both inspiring and informing. What’s on the street today trickles down into next year’s hottest look on the catwalk. Successful designers have a talent for sniffing out the best trends, then reinventing them in their own house style. I believe fashion is people-led and that’s why I love it. Fashion illustration is another passion, both classic and modern - the designs of David Downton, Rene Gruau and Erte are hugely inspiring. I take a lot of photos of anything that takes my fancy and looking back over them often sows the seeds of new designs. I’m a self-confessed technique junkie, so this is an impossible question for me. I have an insatiable appetite for learning new techniques, and am constantly exploring ways of using them in my designs. However, when it comes to personal knitting, I tend to favour no-brainers that I can curl up and relax with – good old garter is a favourite. I recently reviewed a book which provided fourteen sizes for its sweaters. As an indie designer, I have to consider the time involved in the creation of a pattern, set against the amount of money the pattern might generate. Bearing this in mind, my sweaters now come in six sizes, which seems to be the optimum range for me to offer. There’s nothing new in the design world. Everything has been done before or recycled. I used to get upset when it was obvious that one of my designs had been ripped off, but now I’ve become resigned to the view that imitation is the best form of flattery. If you watch the TED talk by Johanna Blakeley, you’ll soon realise that as far as fashion designers are concerned, there’s no such thing as intellectual property, which rules out copyright protection. This is totally different from other areas in the creative arts like music, writing, films and sculpture. However, a more direct answer would be no more than I’m influenced by everything else in the world. We’re constantly bombarded with inspiring images in nature, art, science and the media. I have a signature style which samples from many different sources, which I process and ultimately reassemble into new and original designs. 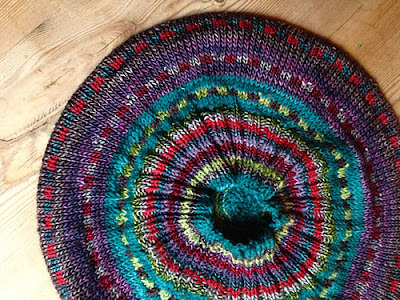 How do you feel about the so-called controversy of "dumbing down" patterns for knitters? There’s nothing wrong with providing patterns for the absolute beginner, but this beginner can quickly become an improver so we also need more challenging patterns to keep them interested. Yarn companies have to sell yarn, so much effort is devoted to getting as many people as possible on board, with less consideration given to keeping them on board. 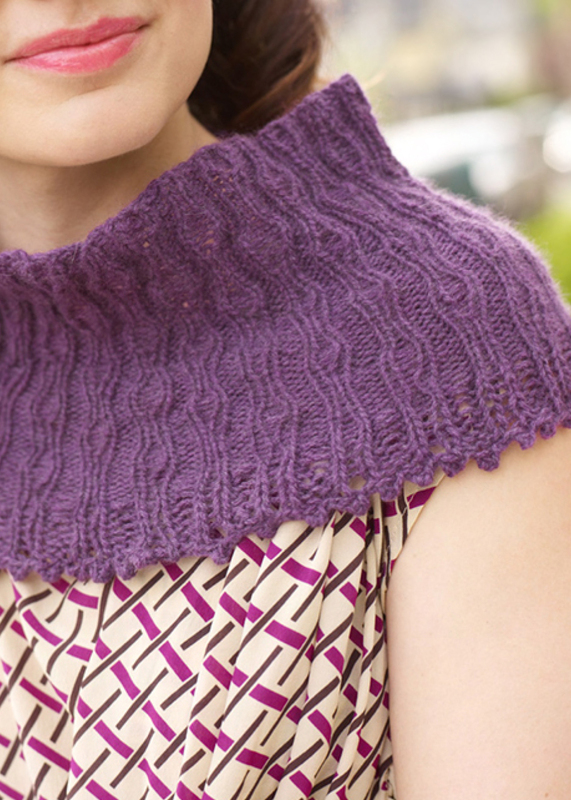 We haven’t yet got the balance right between providing simple patterns for beginners and more ambitious ones for improvers and experienced knitters. It would be impossible for me to knit every project I design, there simply isn’t enough time and also that’s not the way I approach sweater design. My design path is rough sketch, specification sheet, choose yarns, stitches and colourways, and finally a swatch. When all these components are in place I then write the pattern and hand it over to one of my sample knitters who will give the heads up on any potential problems. No. My aims have always been to inspire knitters to pick up their needles by delivering fashion-led, exciting designs that are fun to knit and wear. Not really, but I did learn my trade on the job and a very steep learning curve it was too. For many years I worked with Ralph Lauren and other US designers creating handknits for export out of the UK. If I had to pick one knit designer who has influenced my work it would be Marian Foale for her styling and attention to detail. However, I’m always amazed by the constant flow of new ideas in all areas of design. I find it all both exciting and inspiring, from the fashion illustrations of Rene Gruau and Erte to the contemporary classic designs of Philippe Starck. Successful designers have a talent for sniffing out the best trends, then reinventing them in their own style. No, I’m not at all savvy in business matters. Basically I’ve always followed my nose. Huge impact. I built my own website, so as well as designing sweaters there’s always web work to be done, emails to answer etc. 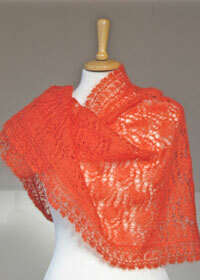 Knitters are better informed and demand a high level of support, so part of every day is spent answering emails. For the past ten years my partner and I have been running annual knitters’ tours in the UK and abroad. The internet is a perfect platform for promotion and registration. My past two books have been published by Taunton Press, who have excellent tech editors. If I’m submitting to a magazine or publishing patterns on Ravelry, I have a core team of five or six knitters who test my patterns for me. With difficulty. Many skills are demanded of today’s designers and it’s virtually impossible to do it all, have a life and not burn out. For the sake of sanity sometimes you just have to shut the office door. We all need stillness in our lives and when I’m running on empty and feeling stressed, I always turn to either my guitar or my knitting. If you are creative and put stuff in the public domain, criticism is a fact of life - you can’t please all of the people all of the time. No-one likes to feel their work has been misunderstood or unjustly criticized, but there’s a lot to be learned from constructive criticism. My knit career started completely by accident and was born out of necessity. I was living miles away from anywhere in a ramshackle old farmhouse with my husband, two toddlers and a menagerie of pets. My husband was commuting daily to teach, so we were racking our brains to find a way of making a living which involved less travelling. So… we bought a knitting machine! My designs sold so well that we quickly had to get more people to knit them. At a London show an agent for Ralph Lauren asked me to do some handknits for him. I jumped at the chance although at the time I had no production capacity and handknitting was definitely not my forte, but within six months we had 2000 knitters in the UK producing handknits for the Polo/Ralph Lauren label as well as selling my own collections to boutiques in the US and Europe. Obviously, as I had no design training whatsoever, there’s a certain amount of luck involved, but this was the eighties when the ethos was go for it, anything can happen. For images to support this answer, visit here. Don’t get me started on this one, but as you asked… my first reaction would be Don’t! But then knitting has provided me with such a rich and varied life that it would be churlish of me not to recommend it to others who aspire to knit design as a means of making a living. However, I do so with several reservations. It’s a tough old world and competition, rather than co-operation, is encouraged to get the best product for the cheapest price. There’s no union, and one designer is played off against another, generating an inevitable climate of elbowing your way up the ladder. Insult to injury is added by the fact that it all happens under the cosy umbrella of knitting, where everything is supposed to be in fine apple pie order. From what I’m hearing it seems that many designers are wracked by insecurity and self-doubt, convinced they are being ignored, overlooked or dismissed. Yet rejection is common currency in a freelancer’s everyday life. You’re only as good as your last design and unfortunately there’s always another designer willing to work for a lower fee. In my experience most knit designers are in the business because they love the craft rather than to line their pockets. Many will work for whatever they are told is the going rate, sometimes even just for the kudos of having their designs in print, which makes them vulnerable to unscrupulous companies who consistently undervalue their work. I’ve always felt here’s something intrinsically wrong that design should come at the end of the line when the cash is being handed out. In the 80s that’s why so much fantastic British talent went abroad, where there were companies that recognised good design and were willing to pay for it to set their products apart from the rest. We are in the business of innovation and creativity, but we’re expected to do the admin, promotion, marketing, web design, networking etc etc as well – it’s not possible to get help as the money just isn’t there to support it. Therefore it doesn’t matter how good a designer you are - if you’re not media savvy you might just as well forget it. As designers we need to toughen up, stick together and lead by example in establishing a decent rate for our work, so that the industry might eventually recognise the true value of creative design and be prepared to pay for it. 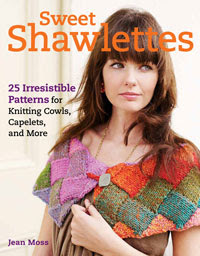 Look at Jean's Sweet Shawlettes projects here. Great interview. Great advice. You do have to pay your dues in the design and creative world and Jean has paid hers many times over.